Using high quality materials with all our work is a priority and our kitchen cabinets are no exception. 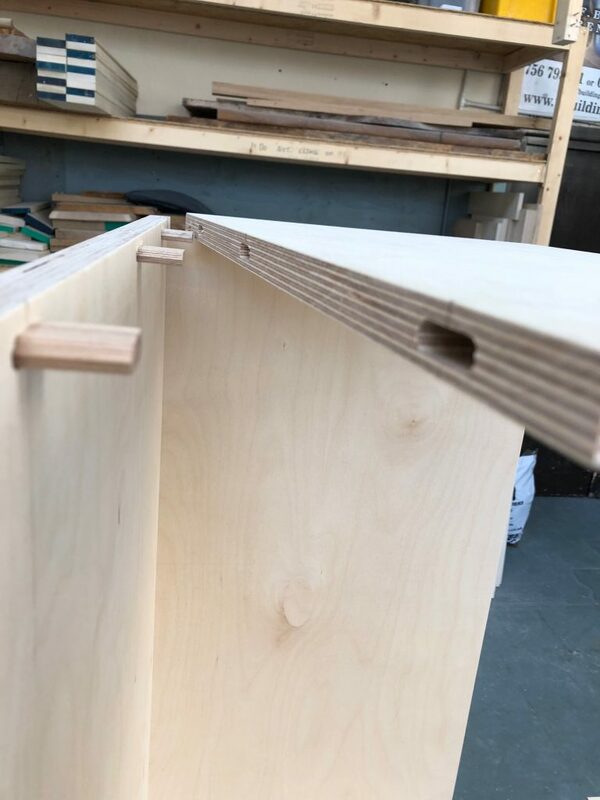 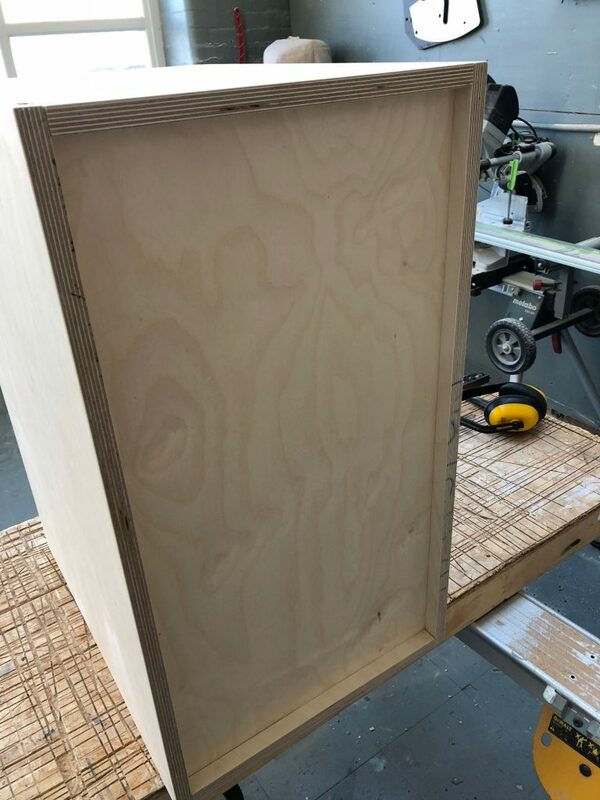 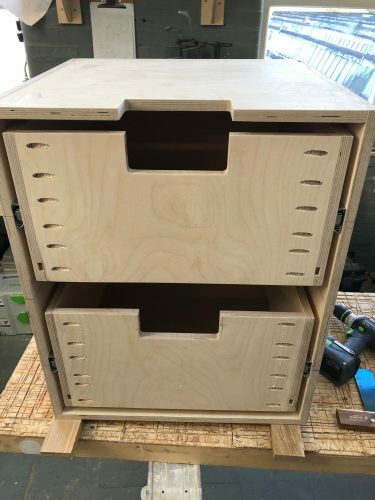 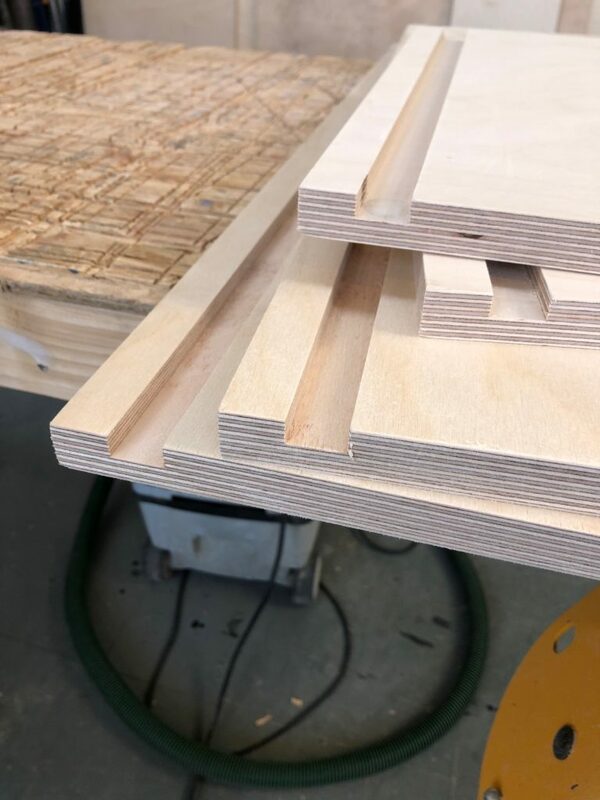 All parts of our cabinets including backs and drawer bottoms are made from 18mm FSC birch ply to ensure longevity for years to come. 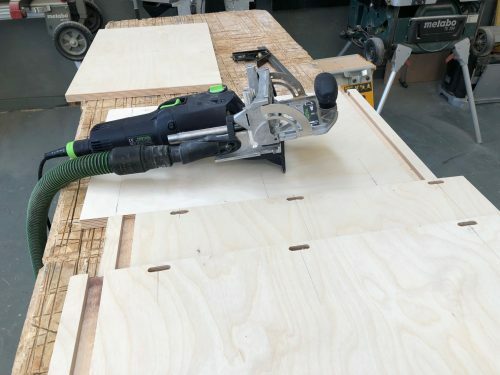 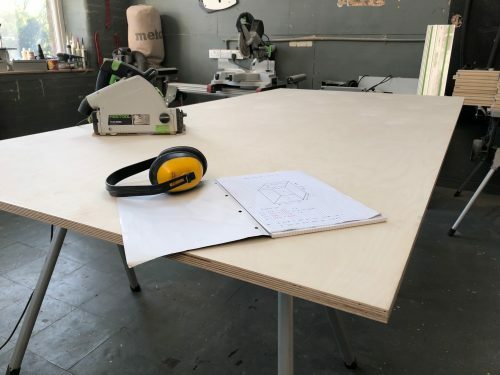 We use 3 methods of connecting all joints, D3 waterproof glue, cabinet screws and Festool dominos for strength. 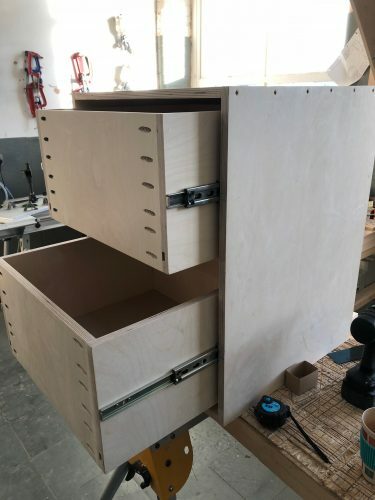 Confidently, we can say that these are the strongest cabinets around. 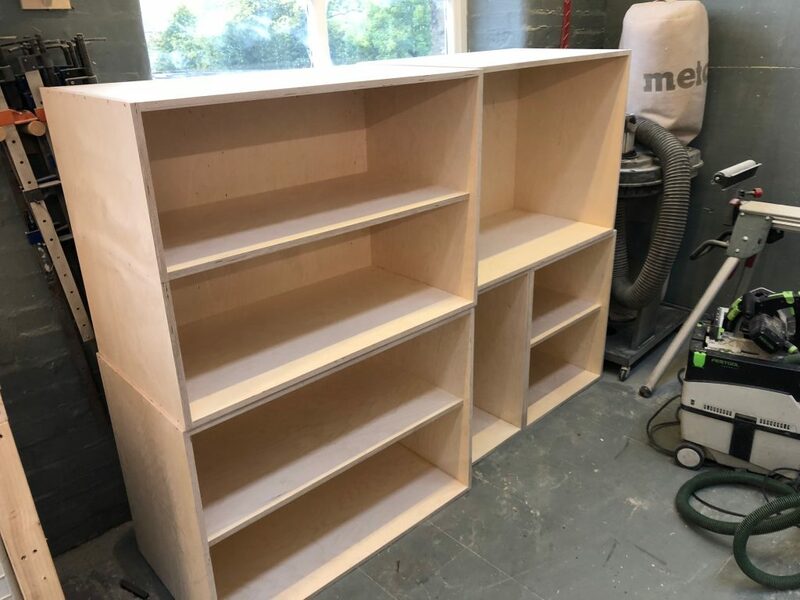 The finished product and be primed and painted or a simple coat of oil straight on for a modern birch ply look. 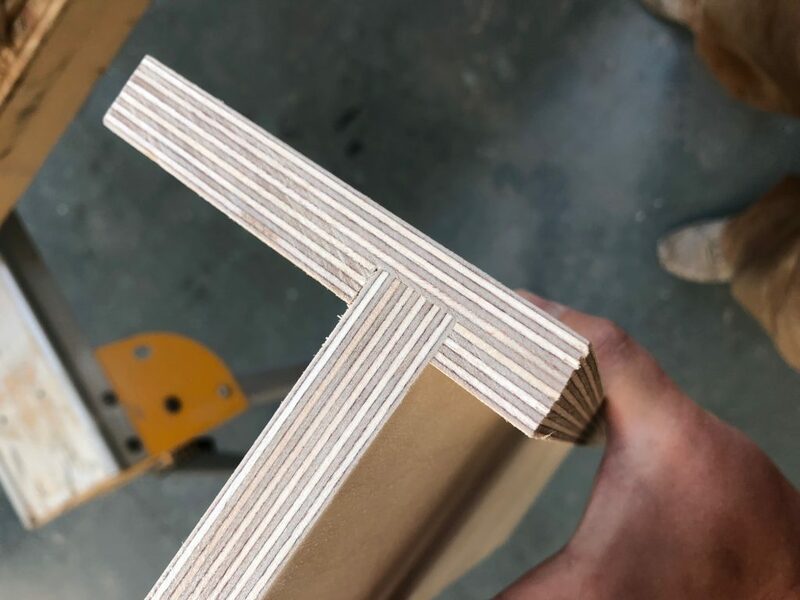 We make a strong point of not using any chipboard, MDF or laminates in our workshop or in any of our products. 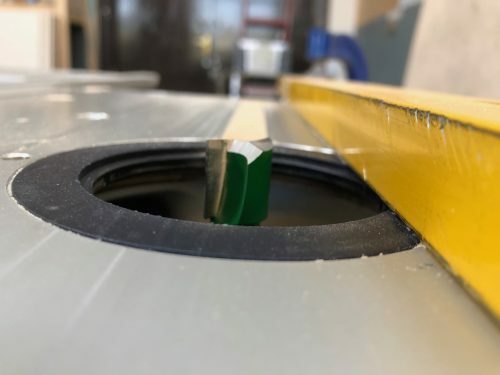 Not only is it a nasty product to work with but it is a compromise on integrity for sweet low cost. 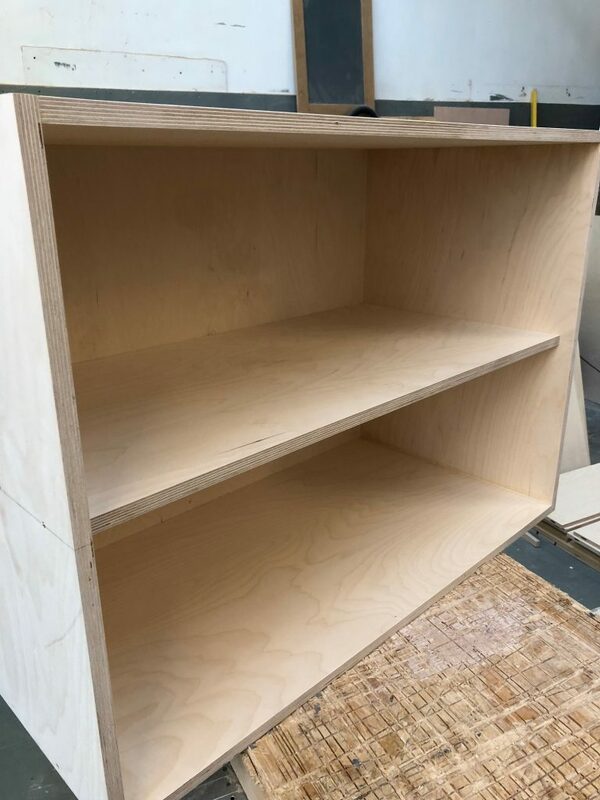 Our cabinets are aimed at customers who are looking for something higher quality that will last. 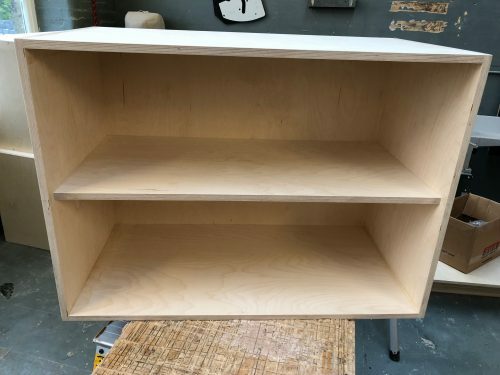 If you would like to buy some of our kitchen cabinets then we can make them to order. 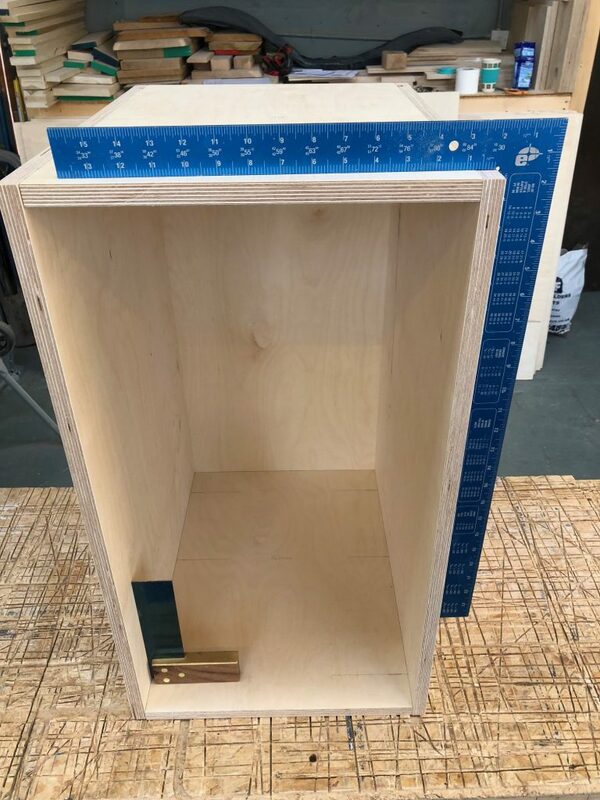 Working like this you are not limited to standard sizes and they can be made to perfectly fit any space. Not only kitchens but bathroom cabinets, book cases and storage, basically anything you can think of. 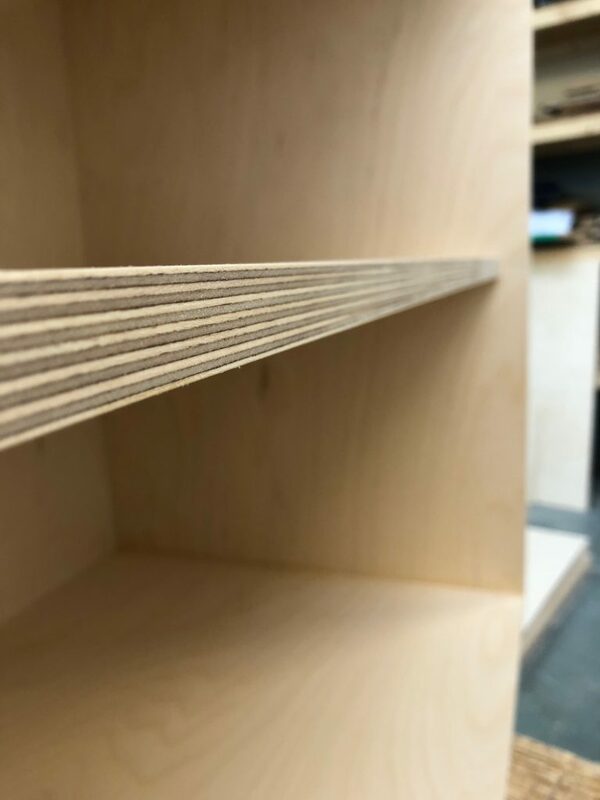 Decor ends and plinths can all be included and detailed to your specification. We also offer the shaker doors to fit with he cabinets sold as a unit ready for painting. Pretty much build your own kitchen…….